Both the SEC and the CFTC are now headed by crypto supporters. “Crypto Mom” has spoken yet again, this time in favor of self-regulation of the cryptocurrency markets when possible. 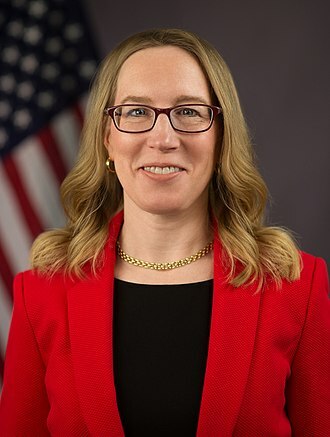 The United States’ Securities and Exchange Commission (SEC) Commissioner Hester M. Peirce, aka “Crypto Mom,” made the remarks while delivering a public talk on March 9 along with former Commodity Futures Trading Commission (CFTC) chairman Gary Gensler at the MIT Bitcoin Expo 2019. Peirce’s remarks came in response to Gensler’s proposal of creating a more robust and unified national level regulatory framework for digital asset industry. Gensler stood by his arguments of creating a national level regulation over a broader spectrum of crypto trading to protect the investors’ interest, curbing money laundering, and streamlining the regulatory discrepancies in various states. However, Peirce was flexible to impose anything on the decade-old industry. “We need to have clear regulatory guidelines, that’s something I think you’ve been very forthright in calling for, which I think is really important. We do need to let people know where they stand, but then within that, we need to let people do what they want to do and try not to have too much government partnership with the private sector,” she added. Regarding the potential for crypto exchanges becoming ATS’s, @HesterPeirce says, “they should knock on my door directly” to discuss possibilities. Will the SEC Approve Bitcoin ETFs? Earlier this year, the SEC Commissioner stated that the lack of strict guidelines has helped the industry grow. She even hinted that the SEC might join hands with the CFTC to tackle the ongoing regulatory issues with the cryptocurrency market.